Check out our range of fun squirrel facts for kids. Learn about their physical characteristics, how many different species there are, what they eat and much more. 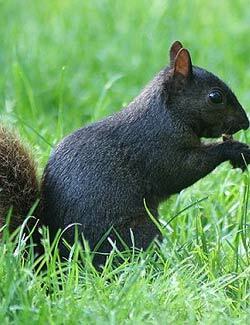 Read on and enjoy a variety of interesting information about squirrels and chipmunks. Their large eyes help them skilfully climb trees and avoid predators. Flying squirrels have been known to glide for distances of up to 90 metres (295 ft).